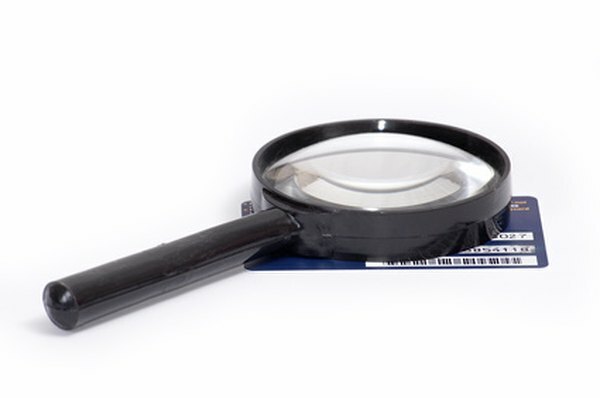 A lender looks carefully at your use of credit. 1. Does a Pre-qualification Affect Your Credit? 2. Does Bank Loan Pre-Approval Hurt Your Credit? 3. What Is the Credit Score Scale? Along with a forced change of plans, it’s a blow to the ego when a lender denies your loan request. The amount of money available for lending may be the reason, as available funds fluctuate with the economy. The purpose for your loan also factors in -- home, car, home improvement or personal loans all have different standards. Understanding why the lender denied your loan will help set you up for approval when you reapply. Sometimes it’s not your credit but your lack of credit that keeps you from getting a loan. You may pay cash for everything. If you’ve managed without credit for years and then decide you need a loan for a large purchase, your credit report may show no history of previous loans. Your FICO score uses your credit history to help lenders evaluate the risk of loaning you money. Since your length of credit history and your payment history count for 15 and 35 percent, respectively, of your FICO score, lack of credit affects at least half of your credit score. If you open new accounts to establish credit just before you apply for a loan, new accounts will affect your FICO score another 10 percent, as FICO looks at new accounts and recent credit inquiries. Your payment history on previous credit counts as 35 percent of a FICO score and has a significant impact on your ability to get a loan. Your payment history doesn’t just include payment information from credit accounts, but also considers public records. You’d expect bankruptcy, liens and collection items to count against your credit, but lawsuits by you or against you as defendant also count. Judgments against you or lawsuits in progress can affect your loan application approval. If you’re involved in business ventures, your name may appear in the public records and affect your loan. Amounts owed constitute 30 percent of the FICO score calculation. Your debt-to-income ratio compares your total recurring monthly debt to your monthly gross income and may keep you from getting a loan. The result should be 36 percent or less, a magic figure for lenders. Student loans you cosign for your children count in your debt-to-income calculations; so do any other cosigned loans. If your debt-to-income ratio is only slightly over 36 percent, you might find a lender who considers other factors and makes the loan. You may request removal as cosigner after a few years of payments by the borrower. Alternatively, you might pay some outstanding bills and wait until your debt-to-income ratio is lower. Although FICO looks at your credit report only, lenders look at the length of time you’ve been on the job, your current income and how long you’ve been at your current residence. If you’ve recently moved to take a new job -- especially if it’s for less money than you made previously -- that may be enough to keep a lender from approving your loan. The credit reporting companies and FICO look at all segments of your credit. Lenders look at FICO, credit scores and all the information on your loan application. A different lender may see the way clear for your loan approval. MyFico: What’s in Your Credit Score? What Financial Criteria Affect Mortgage Interest Rates? Does Personal Net Worth Affect Credit? What Is a Co-Borrower vs. a Co-Signer?